There’s nothing we love more than helping our clients shine. 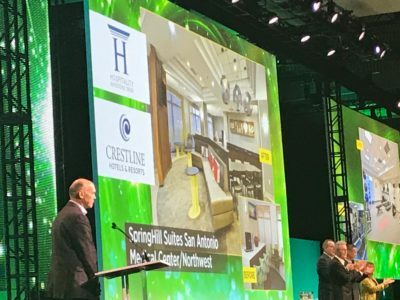 Seeing just that during this week’s Marriott Connect Conference gave us great pride – and cause to celebrate – as Hospitality Investors Trust and Crestline Hotels & Resorts received a Renovation Excellence Award for their renewed SpringHill Suites by Marriott San Antonio Medical Center/Northwest. We commend our dedicated team who stayed true to the Marriott Hotels brand identity while accomplishing this stellar renovation. Check out the renovated space for yourself at http://bit.ly/SpringHillSanAntonio.